A holiday in a Agritourism in Liguria is special. You will be impressed by the Ligurian culinary delights, the landscape and the hospitality. 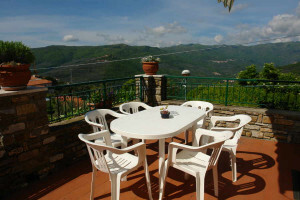 Spend a holiday in harmony with nature in Liguria! Enjoy the beauty of the landscape, get the feeling of liberty by the sea and spend your vacation in perfect harmony with nature. Get to know, to taste and to appreciate the local products. Nowhere else is quality given top priority - and one can feel it too! What is that by the way - "Agriturismo"? Who doesn’t know it – holiday on the farm? 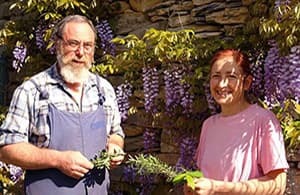 The only difference is that in Italy anyone offering holiday apartments in mainly original rural houses, and providing self-grown products, may describe himself as an "Agriturismo". This is supported by the state and benefits the holiday guests who will then receive wonderful service and many useful tips on the ground. Hospitality from the first moments onwards. You will enjoy the feeling of being welcome and being able to spend your holidays far away from places of mass tourism. Discover something new and relax actively in the rural environment. That’s exactly what is meant by spending vacation on an Agriturismo in Liguria. 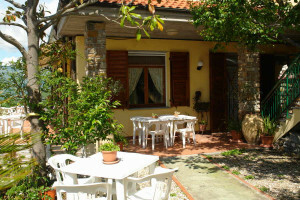 Agriturismo is a fixed concept in Italy and can not be completely compared with the German vacation on the farm. 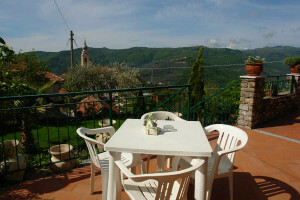 In Northern Italy, apart from the housing, hospitality is also included in the package. The friendly hosts will welcome you right from the time of your arrival, and will lead you in the nice, Italian way to your house. They will shower you with Ligurian warmth from the first moment on, so that right from the beginning you will feel you have arrived on vacation. 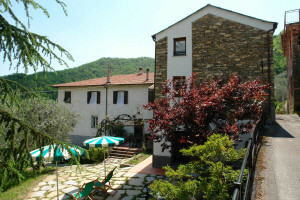 Vacation in an Agriturismo in Liguria offers you a mixture of relaxation, nature, a healthy diet and Italian traditions. One can still find several traditional Agriturismi in Liguria today which have mainly specialized in olive and wein cultivation. Excellent products grown biologically on the farm are the norm here. In some farms you can even watch the production being manufactured. Pamper your palate with olives, olive oil and wine of the highest quality, self-distilled grappa or exquisite cheese specialties. But you can also purchase home-grown fresh fruit and vegetables directly from the owner. Tasting home-made Ligurian specialties will leave you with an unforgettable culinary experience. 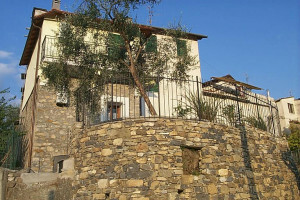 Moreover, there are excellent restaurants with traditional Ligurian recipes in most villages . The very combination of tranquility, relaxation, green natural environment and tradition makes your vacation in Agriturismo look quite special. Spend your days outdoors, experience the unbelievable diversity of the Ligurian natural environment and let yourself be persuaded of vacation with a sense of adventure. The BlumenRiviera team on their part has wonderful ideas ready for you, with the aim of showing you how to plan your vacation in Italy. You will find local restaurants, wine-growers and olive mills which you have never seen before. Excursions to various Ligurian towns are also very popular. A day trip to San Remo, the flower-town in Imperia, to Diano San Pietro, a small town full of tradition and diversity, to the coastal resort of Finale Ligure in the province of Savona, or many other towns in the region, will make your vacation unforgettable! Even the provinces of Genoa and La Spezia will lure you with their multi-colored house fronts, coastal stretches and unique beauty. Whoever would like to spend his vacation in close harmony with nature should opt for a holiday apartment in one of our Agriturismi. We from BlumenRiviera will be glad to advise you and we shall give you helpful tips through your entire journey. You can only experience such an unforgettable vacation in the countryside when you deal with us! Therefore, you should scroll through our online-catalog, check the ever latest availability and be inspired by the wonderful holiday apartments and houses, hand-picked by us ourselves.